In the city of New Orleans, Mardi Gras is celebrated with historical parades, costumes and swelling crowds. It’s packed, it’s a bit of a mess but, I like the city and all it’s dirt and debauchery. Over in the French Quarter, on Bourbon street the non-stop “gone-wild” style flashers, men in tutus, pink wigs, and bead throwers thrive around the clock for days. Indeed, the party you hear about is trying desperately to keep up with it’s reputation. But no mater where you are, it all stops promptly one minute after midnight on Fat Tuesday. However, this isn’t where you’ll find most of Southern Louisiana’s local folks celebrating Mardi Gras. 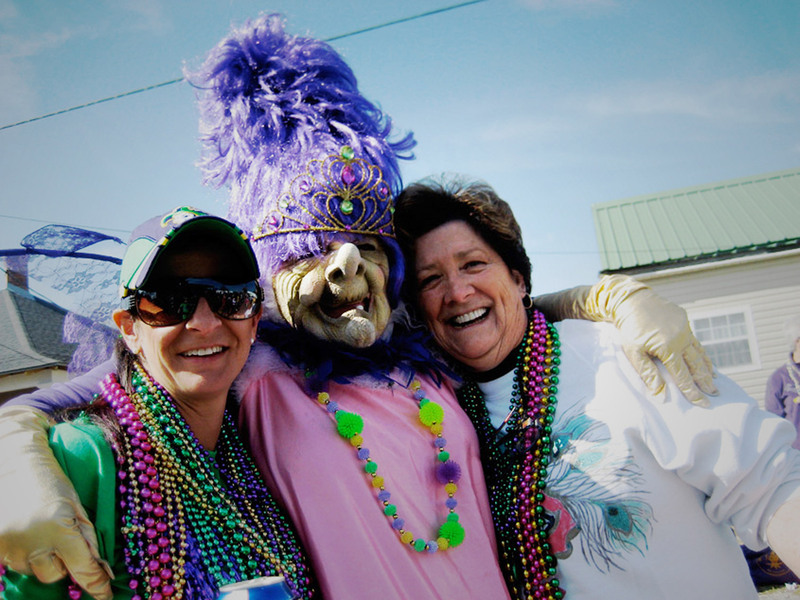 This epic party has another side, the local version that happens down on the Bayou. A festival of family, friends, cajun cooking, and plenty of beer to go it with all. 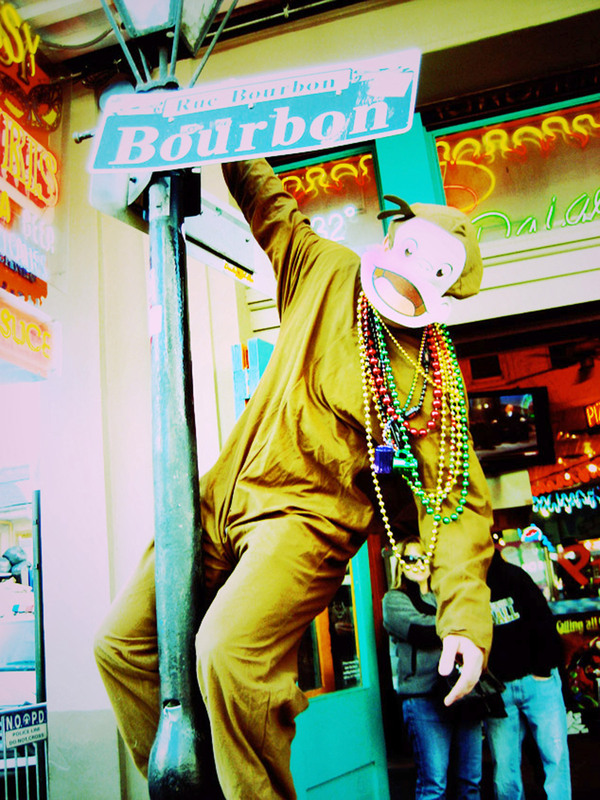 You don’t need to book reservations a year in advance or use a ladder to catch beads. All you need is one hand to catch with and one hand to hold your coozie. Pull up a lawn chair or stand yard-side for the events. 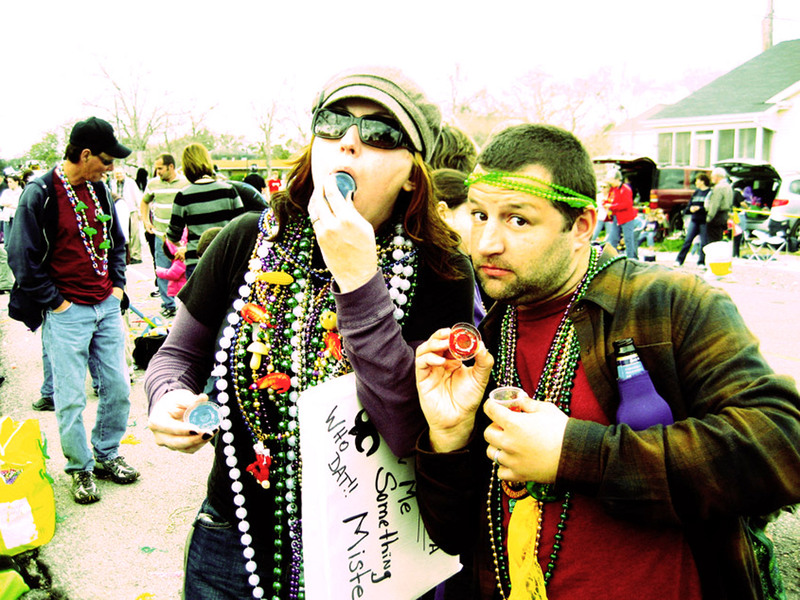 Beads flow freely around these parts as well as the beer and red hot dogs. 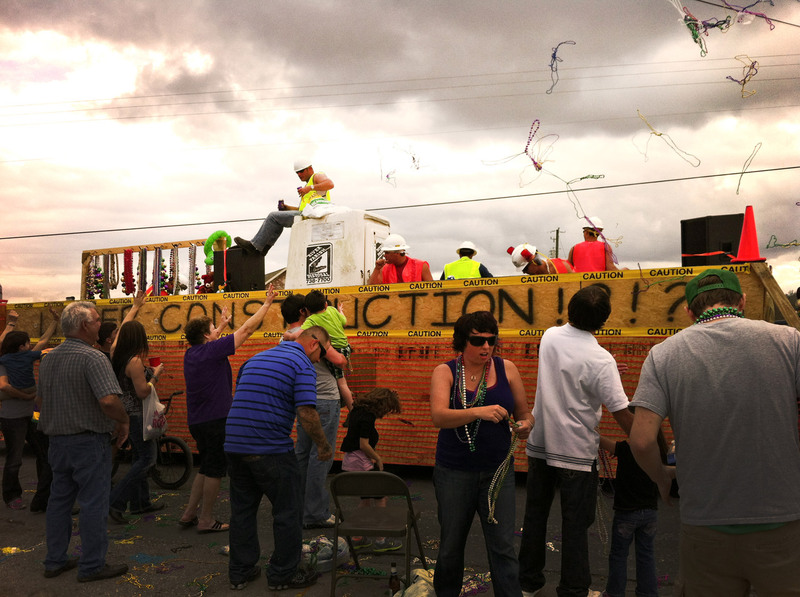 The floats are pulled by pick up trucks or lawn mowers and ridden by friends, uncles, classmates and cousins of cousins. 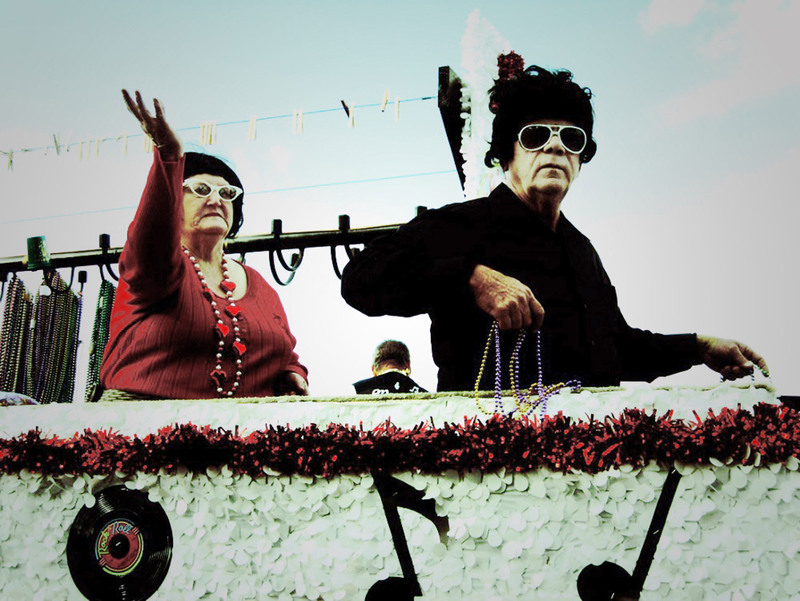 TIP #1: Some parades allow anyone to join in. 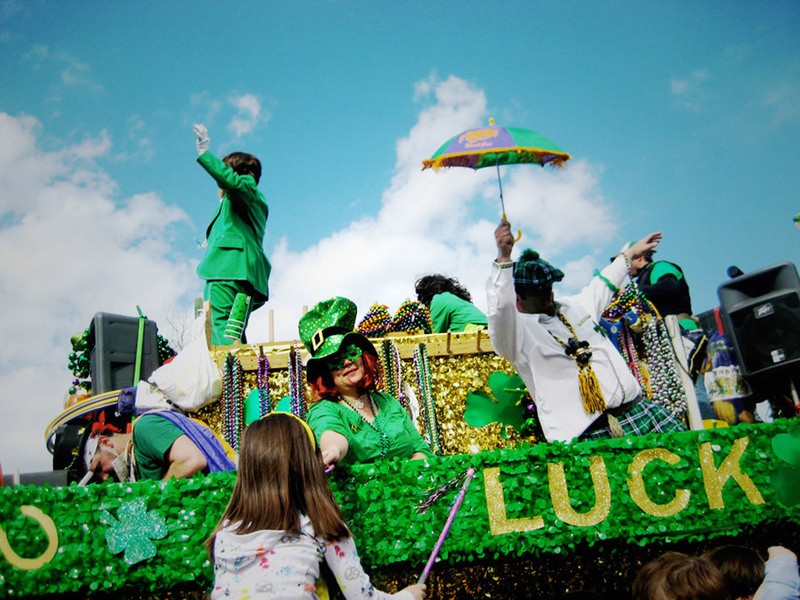 Find one like the Lockport Parade than, dress in your funky suit, mound an arm with beads and join the Mardi Gras. Another perk is the pre-shows, they’re unofficial but epic non the less. Prior to the local parades we attended, young motor enthusiasts prowled the route. How about a rim show? Or a four wheeler tot bonanza? The pre-show is the most tantalizing mix of *bling* and camo gear I’ve seen anywhere. Oh, these Cajuns love their food. Actually, they love to cook even more than they love to eat, I think. Wait. Actually, they love to feed you and watch you eat their delicious food most of all. Yup! Watch your toes ‘cause they’ll roll out the cookers, the 50 gal kettles, and start frying, boiling, and marinating on the spot. 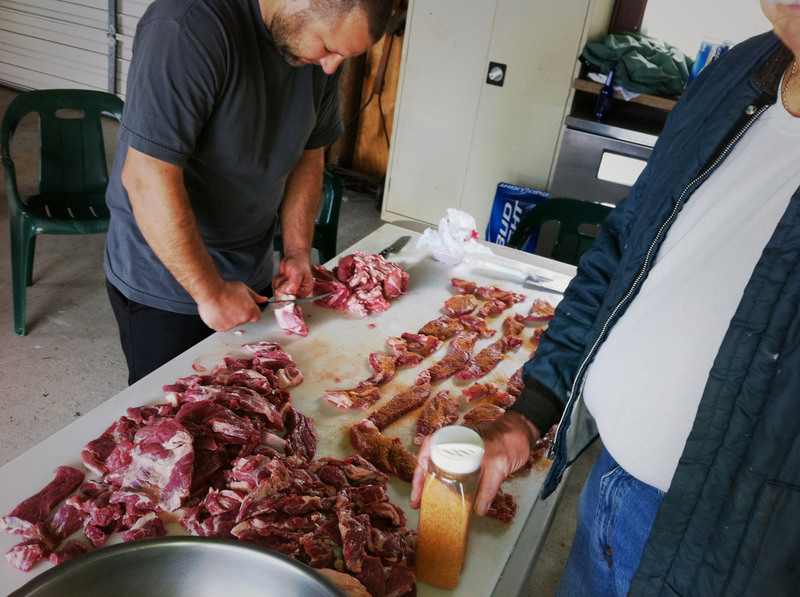 Their hands will be cutting, mixing, offering samplings and cracking open beer cans all afternoon long. Imagine a summer BBQ that last for days, migrating from one house and neighborhood to another. 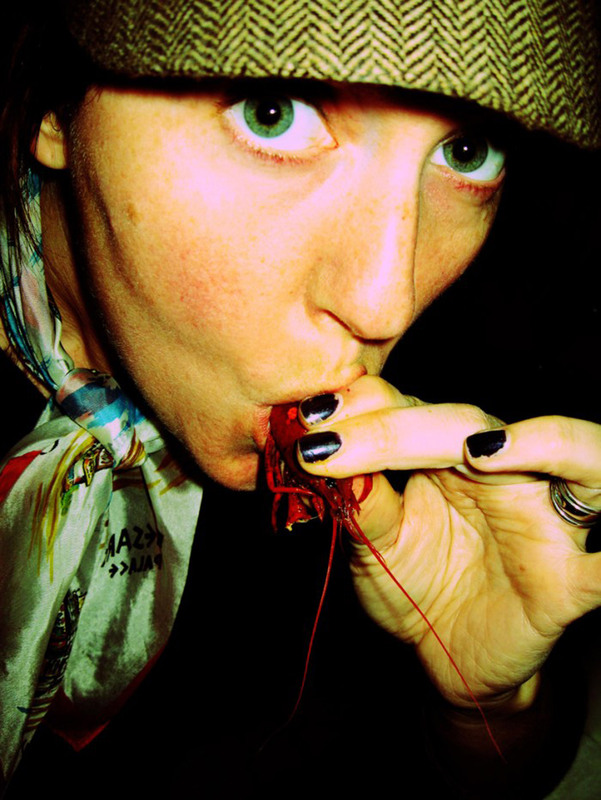 “I’ll try anything” but, I had to have some local intervention to wrap my lips around a crawfish. I did, I sucked the heads, and I liked it. Still the best boil is a bayou shrimp boil. It remains a favorite on our trips down to Southern Louisiana. I’ve learned the secrets and have even wowed some friends in California with it’s laid back prep, down-home delivery, and zesty cajun kick. It’s just better down here though and I hear that it’s because the secret ingredient is undeniably, gulf shrimp. Once You’ve Tasted Their Hospitality, You’ll Be Back for More. We’ve been in this neck of the woods a handful of times now and have made family out of these great friends. Our hosts are the most generous folks we know, which is quite normal behavior for the people in Southern Louisiana. They let us park our RV in their yard, and allow us to join in all their gatherings. They’ve served us home cooked Red Beans and Rice, Griads (marinaded and smoked pork), fried fish, fried shrimp, hog-head cheese, boudin sausage, étouffée, jambalaya, bread pudding, fresh lemon pie, cakes, and the best Gumbo and potato salad we’ve ever tasted. These people are off the hook. 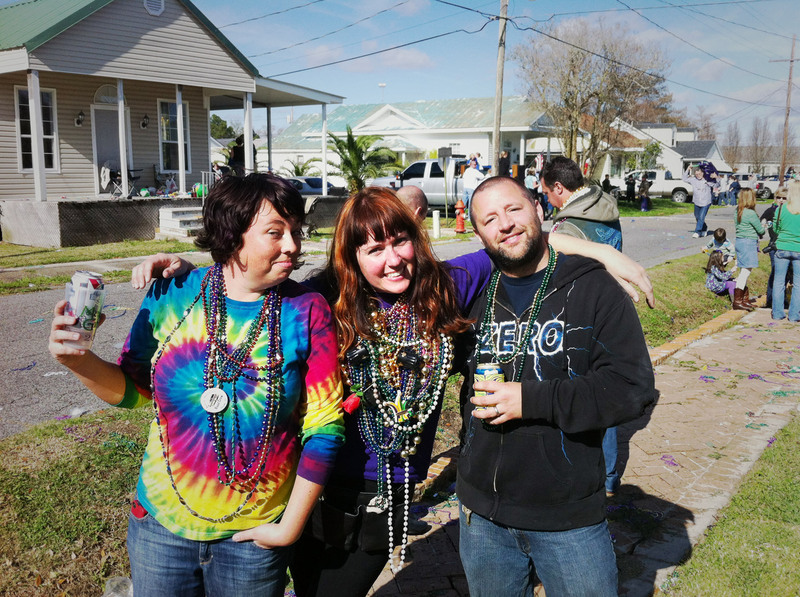 Mardi Gras is an invitation to eat like mad, crack your first beer at 10am, and proceed to porch party all day long. Celebrating and cooking with these folks is one of our all time top travel experiences. 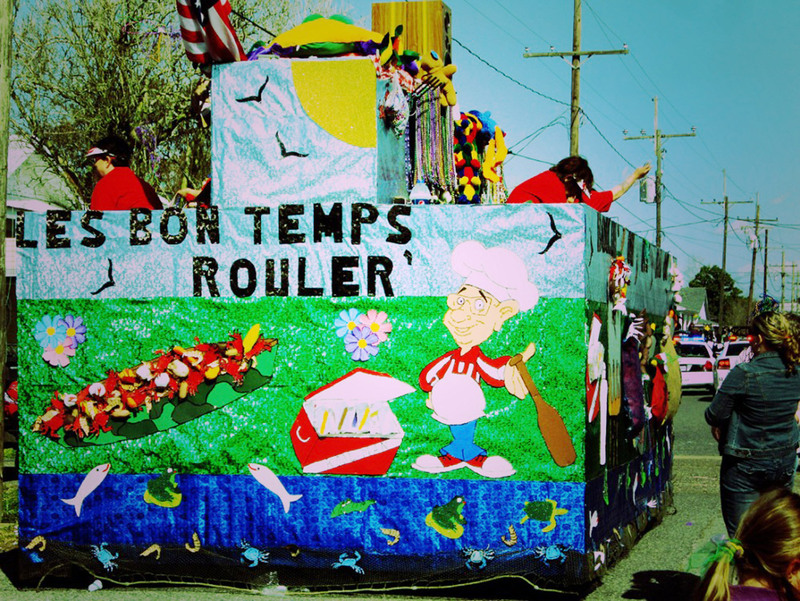 Thibodaux – Back to back local parades with over 40 floats combined. Upscale local decorations, great throws and lots of action. The closest local style parade experience to those of NOLA we’ve had. Lots and lots of beads, cups, and cozies to catch. My favorite bead was thrown to me on this route. The crawfish boil bead around my neck in this photo. 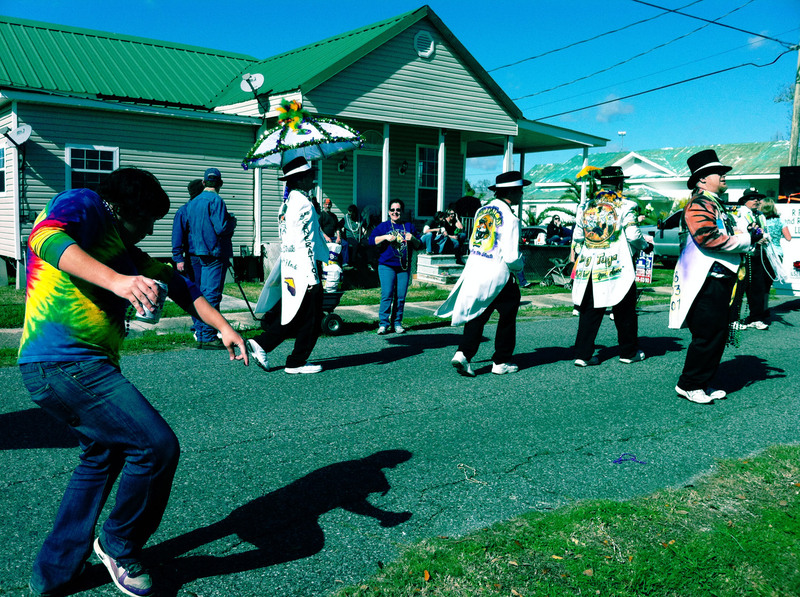 Gheens – A even smaller town parade, held on Fat Tuesday. 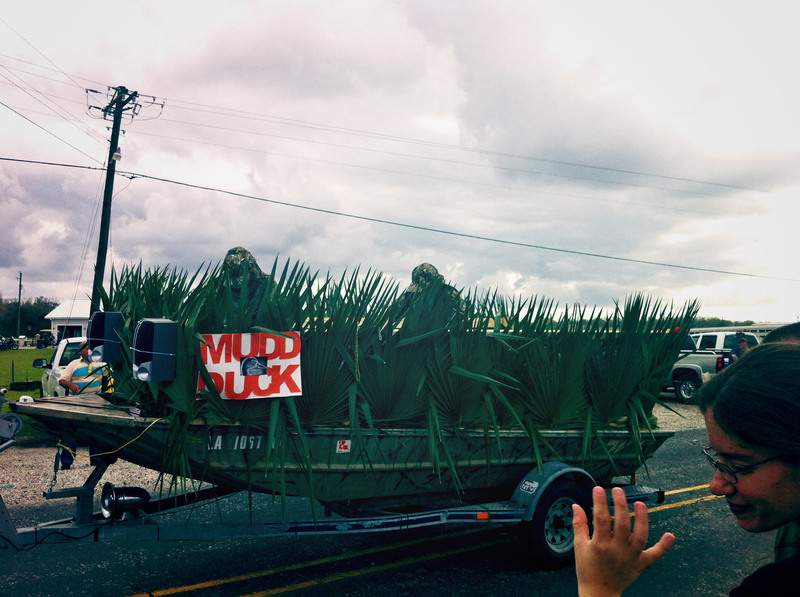 Most of the floats are trailers or boats and are made by the riders themselves. Pull up your truck or four wheeler and enjoy upfront seats anywhere on the parade route. 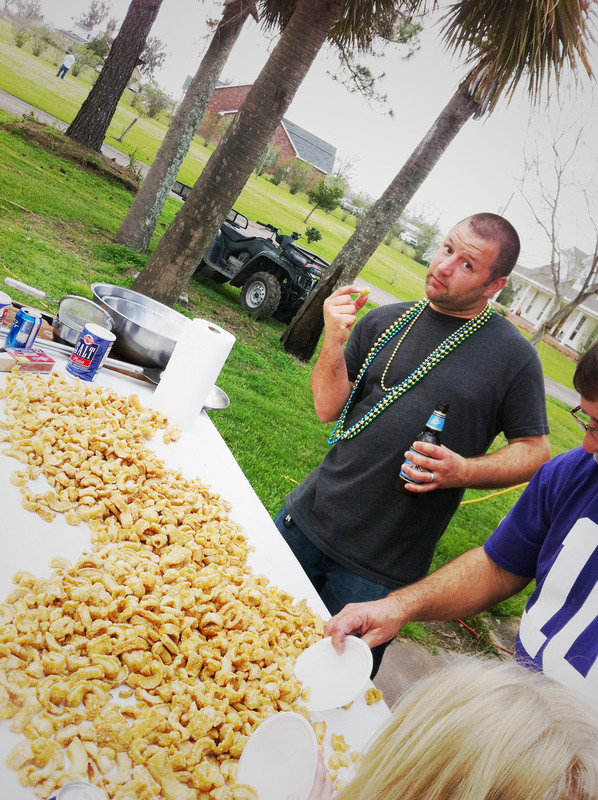 Amazingly, our host included a pig roast, fresh cracklins and jambalaya. A special invite, sure but, this is exactly the way they roll down here. Friendly people sharing great food, it just happens that way on the bayou. Damn I knew i’d regret not coming out there to join y’all – looks like an awesome time!!! Great story. You nailed south Louisiana and her people. Glad ya’ll had a great time. Where are you now? Hi Laurie! Thanks for reading and I’m so glad you approve – being from here and all! We love every bit of it! Currently we’re in the BS State Park but headed toward NOLA today for one last hoorah in the city. 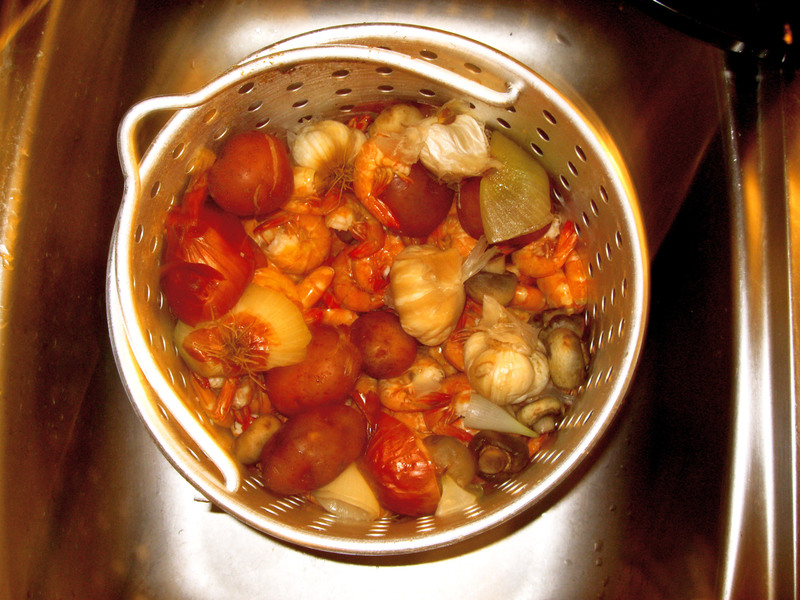 Then off to Florida… where I’ll boil up that shrimp I bought at The Shrimp Lot for my friends! Thanks for the tips on that! Any recommendations for eating good and cheap in the city? Will you be around? We would love to meet you in person… but if not this time there WILL ALWAYS be a next time!